I am pleased to introduce Tim Wadsworth an Airbnb Host and Professor at CU Boulder, who is creating a Non-Profit called Greater Good Hosting, which allows hosts to share a percentage of their earnings with select charities while advertising their efforts on their listings, which in turn will bring in more bookings from Guests who also want to support good causes. I just love this idea as I would love to give back and yet, have found myself in analysis paralysis when it comes to supporting causes outside of my immediate community, since I have not done the research to know which are the best. This is all being done for us already with this program, which I like. Tim is also a Mustachian, or reader of my favorite Finance Blog: Mr. Money Mustache and found me from the article I was featured in there. I was excited when he reached out and wanted to share his project with my readers and I. He included a short survey at the end about the project and would appreciate it if you could take a few minutes to complete it. Thanks! 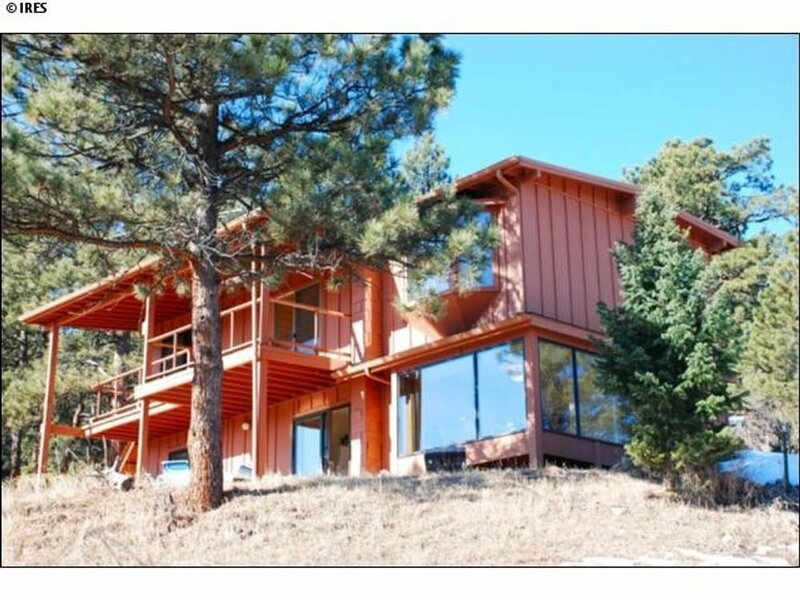 Tim's - "Great Boulder Mountain Home"
My partner and I started hosting on Airbnb about 6 years ago in an attempt to make some extra money as we planned to step away from our jobs for six months to travel in Asia. We met a lot of wonderful guests, made the extra income we were hoping for and had a fantastic experience travelling through Cambodia, Laos, Myanmar, India, Nepal, Tibet and Sri Lanka. When we returned to the U.S. we went back to work, returned to our regular lives and continued to host. About a year after our time in Nepal an earthquake devastated the country, killing almost 10,000 people and leaving over 3 million homeless. Villages we had spent time in were entirely buried and people we had met were likely included in the death toll. We tried to respond wisely and make the donations we could afford to make to organizations that seemed to be doing good work, but figuring out where our money could go the farthest felt like an impossible feat and many of our decisions were guesswork. Since then we have watched other tragedies unfold, both in countries we have spent time in and in others that we only know by their location on a map. We have done what we could, often feeling that it was not enough, and frequently wondered if we were being as impactful as possible given our resources. Over the last year or so I have learned a lot more about a philosophy/social movement called Effective Altruism. The idea of EA has been heavily influenced by the work of philosopher Peter Singer (you can learn a lot more about it by googling his name, “Effective Altruism”, or by checking out a really short interview with him here). The general idea is that we can ask a variety of questions that can help us figure out where our resources can do the greatest good, minimize the most suffering, and generally be most effective. While these ideas may not sound like rocket science they are not the questions most people ask in considering where to donate money, and in fact may be what keeps many of us from donating at all. I know that I have occasionally felt since what I can give is not huge, that it won’t make a difference, and as a result of this concern, ended up giving nothing at all. Fortunately there are charity evaluators like Singer’s The Life You Can Save or GiveWell that do the research for us and identify evidence based (while the work might sound great, does it actually meet its goals? ), cost effective (how much good per dollar does it do? ), and scaleable (can the amount of good it does increase proportionally with additional funding?) nonprofit organizations and initiatives. Knowing where to look to figure out how I can make the donations I can afford to make as impactful as possible, has made giving easier for me. The second question that has arisen for me is how I can increase the amount I can give. Or even better, can I give in a way that actually increases my income and thus the amount I can give away? It is in response to this question that I have been developing an idea for a nonprofit organization called Greater Good Hosting. The idea is that hosts can become “Greater Good Hosts” by committing to donate as little as 1% of their hosting income to a portfolio of cost effective, evidence based, scalable initiatives (Greater Good Hosting will work with established charity evaluators like those mentioned above to create the portfolio). As part of their participation, hosts are encouraged to mention their partnership with Greater Good Hosting in their listing so that prospective guests know that a portion of what they pay for lodging is going to a good cause. Guests will also be able to look at the Greater Good Hosting website to learn more and to add legitimacy to the hosts claims. The feedback I have gotten from lots of people who use Airbnb suggests that this type of participation, and demonstration of a host’s values, could be an important distinguishing factor in guests choosing one lodging option over another. I suggest that becoming a Greater Good Host can be a great way to engage in effective altruism and is a good business decision (and all donations are tax deductible). This is how I think you can increase your Airbnb income and make the world a better place. When I told Zeona about the idea and that I was currently fielding a very brief (3-5 minute) anonymous survey to gather feedback from hosts she suggested that I write a guest post to give a little background, spread the word and invite her readers to fill out the survey—which I WOULD REALLY APPRECIATE. So, to find out more information about Greater Good Hosting and to let me know what you think, click HERE or paste the following link into your browser. I would also love to hear what you think in the comments section below. Thanks for reading. If you have questions or feedback, you can contact Tim here: GreaterGoodHosting@gmail.com. Or stay with him: here or here, to support his movement.